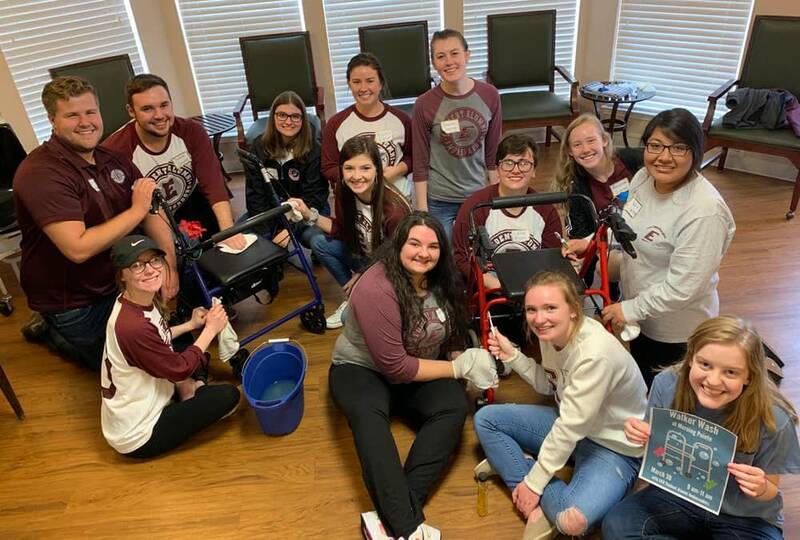 West hopes to continue the tradition of the Walker Wash each spring to allow the residents to showcase their walkers to their loved ones at the community’s Easter brunch. Morning Pointe of Richmond (KY) resident Fletcher Williams finds his name on the Jackson County Veterans’ Memorial in McKee, Kentucky. 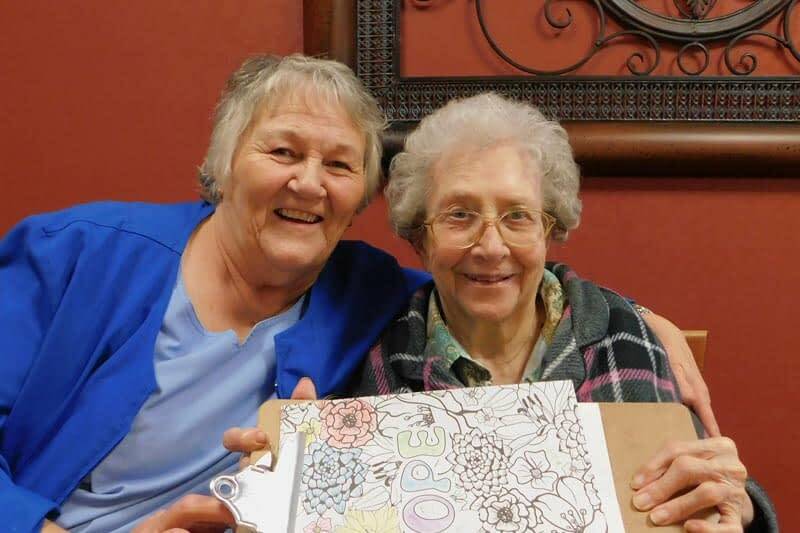 Morning Pointe of Richmond (KY) resident Jean Harper and volunteer Taunya Riddell share a hug with Dolly, Riddell’s Boston terrier whom she often brings to the personal care community. Eastern Kentucky University Elementary Education majors teach Morning Pointe of Richmond (KY) residents to play dominoes. 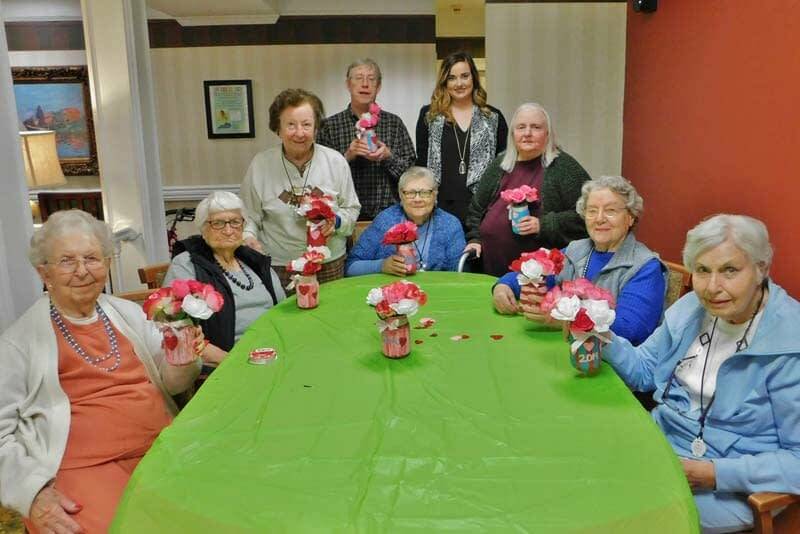 Every month, volunteer Brittany Short, Marketing Director for The Terrace and Berea Healthcare in Berea, Kentucky, visits Morning Pointe of Richmond (KY) to entertain and engage the personal care community’s residents with a new craft or art project.